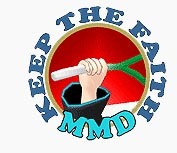 MMD Quits after a few minutes? … at least that’s what it seems like. The LearnMMD team is looking into it and we hope to have an answer for you soon. We are still looking for an answer! Want an email when we solve it? If you’d like an email when we find the cause, Please leave a comment at the bottom of this article… and be sure you type-in the correct email address as you post your comment… don’t worry that the comment doesn’t pop-into place right away, I will see all of them and I will send you a note when we have an answer. Go to your computer’s System Restore Center and make a current system restore point to which you’ll be able to return if further manipulations do not help. Note the day your MMD stopped working and see if you already HAVE a recent restore point made prior to that day (but not years ago, hopefully; if you’re not making them regularly, this may do more harm than good). If you have a suitable restore point, use it. Check if your MMD works now. If it does, PLEASE INFORM US. This is important. First of all, thank your lucky stars. Second, make a system restore point. Lucky stars still may turn their backside at you. Now, open your Windows Update Center and turn automatic updates off. Instead, make it “ask before install”. This way, you can control what to install and what not to. If you’re concerned, you may install security updates and Windows Defender definitions, but postpone everything else until the solution to the current problem is found. There’s still a possibility that one of *those* had inflicted it, but , well, security is important. If you decide to do updates, make sure to do it one update at a time. Restart the computer after each one and see if your MMD still works. If it stopped to, revert to the system restore point you’ve made and start again, this time avoiding that particular update. See if you can update without making MMD crash. If you think you’ve located the particular update that causes the problem, BY ALL MEANS, INFORM US ABOUT IT. This is even more important. [in Hiro Nakamura’s voice:] Save the MikuMikuDance. Save the world. If you think you’ve located the particular update that causes the problem, BY ALL MEANS, INFORM US ABOUT IT. I’m personally redownloading all three programs (mmd, mme, and pmd editor) because I had to do a laptop restore which wasn’t related to this issue at all. However, the point I’m trying to make is, maybe redownloading the programs that are acting up might help? I don’t know if you guys have tried that but it could be an option. Thanks. The problem is, “we” don’t have the problem. What we have is testimony of several users that appeared about the same time and who reported similar symptoms. To solve it, we have to have something to experiment on, and, well, it’s like fixing a Mars rover – acting by proxy, every message takes days to get feedback, and chances of proper instructions handling are slim. That’s why we need more user data. The more people will report their circumstances and try various solutions, the sooner the answer will be found. I believe that the “crash” was crated by a 9/20/16 Windows update… which had flaws causing multiple errors, and so has since been updated by Microsoft. This error seems to no longer be a problem. Another possible solution is to reinstall the C++ and DirectX packages. I have had reports of this fixing the problems. This may not work for you but it is something to try.